The 89th Academy Awards took place on the 26th of February, 2017. Photo by lincolnblues. 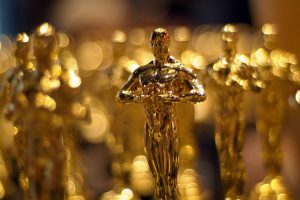 As Hollywood once again finds itself enthralled by the glitz and glamour of the awards season, protests are strangely absent. For those of you who recall the #OscarsSoWhite campaign, which (rightfully) objected to the treatment of African-Americans in cinema in previous years, this may come as a surprise. But with sleeper hits like Fences, Moonlight, and Hidden Figures raking in the silverware, the Academy appears to have learned its lesson – for the time being at least. And yet racism is not a black and white issue, and for America’s Latinos, 2017 is a year in which things have definitely worsened, not improved. What makes all this a far more bitter pill to swallow is the fact that Los Angeles, film capital of the world, is just shy of being 50% Latino. Nevertheless, in the major films set in the city released over the past year (Hail Caesar!, The Nice Guys, Café Society, and critic favourite La La Land), Latinos are conspicuously absent. Even in terms of the entire United States, Latinos are woefully underrepresented – making up around 17% of the population, but featuring in less than 6% of roles across film and TV. Reflecting broader trends, Afro-Latinos and indigenous Latin Americans find even less cultural representation, appearing almost exclusively in minor roles, with a fraction of the frequency of other Latinos. Sofía Vergara (from Barranquilla, Colombia) is one of Hollywood’s most prolific Latin American actresses. Photo by Yahoo. And even when Hispanic actors and characters are featured, it raises its own set of issues. Californian actor Noel Gugliemi went viral online a few years ago for having played essentially the same role in 16 films and television programmes – a Latino known only as “Hector”. Antonio Banderas, from Málaga, Spain, is often billed as a Latino, and shoehorned into a muddled mish-mash of sensual tango-dancing, bull-fighting, sombrero-wearing stereotypes. While Colombian actress Sofía Vergara is at least genuinely Latin American, she has become Hollywood’s resident Latina, playing characters from all over the Hispanic world, with vastly different cultures, societies, and manners of speaking. More worrying still, as a natural blonde she is often asked to dye her hair black, to appear more “authentic” to American audiences. Of course, this homogenisation and stereotyping of Latin America goes far beyond film, but it is important to acknowledge culture’s role in perpetuating discrimination. In many ways, Hollywood is contributing to the popular sentiment that everywhere “south of the border” is a nebulous and incomprehensible wasteland of drugs, crime, and mariachi bands – exotic and foreign to the comforts of the United States. And yet, there may be hope in the horizon. Latinos are going to the cinema in greater numbers and with greater frequency than any other demographic. Movie executives would do well to listen to them, and read up on the region that has fascinated so many of us around the globe. Admittedly, this is not an easy task, to disentangle the hodge-podge of cultures they have created over the years, and speak to an audience whose members hold vastly different cultures, beliefs, and feelings about the United States and their homeland. But it is a task that is becoming ever more necessary and, to speak the language of corporate America, profitable. With recent months and years bringing increasing hardship to Latin Americans in the United States, who find themselves insulted at political rallies, whose loved ones are hunted down and turned away at the border, whose communities have been ravaged by neoliberalism, all this may seem like a drop in the ocean. Yet it also speaks to something much greater. A political wall was put up many years ago, a physical one may soon follow, and now there are greater and greater signs of a mounting cultural barrier. Each of these developments deserves to be fiercely opposed. Latin America’s people, and their rich cultural heritage, deserve to be celebrated, not shunned.